The first idea often conjured by the word en-tropy is the tendency of things to drift towards disorder. En-tropy, however, is also very much about order. The tendency towards disorder can be overcome or reversed—through energy and work. The energy and work of writing a sentence. Drawing a line. Composing a photograph. Meditating each morning. Conducting an experiment. Running a company. Organizing a protest. Powering a car. Re-considering a theory, a practice, or a design to make it more efficient, coherent, inclusive, humane, or whatever quality we are aiming for in our work. Human aims are central to a consideration of en-tropy, because we mediate en-tropy with a purpose. 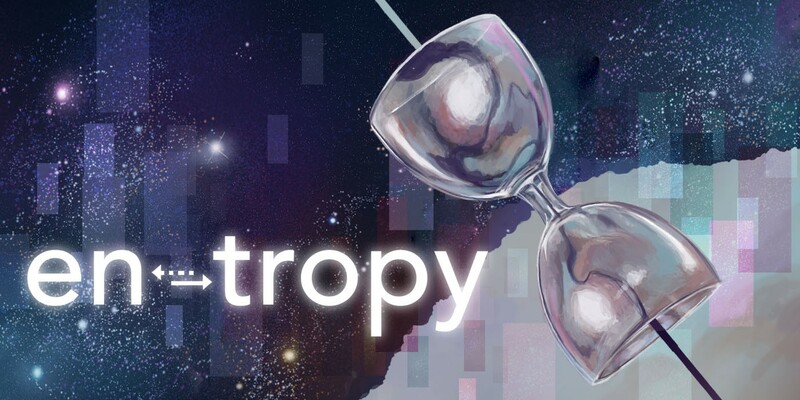 En-tropy invites us to ask ourselves, what are we aiming at? Why? How? At what costs? Over millennia humans have built pyramids, skyscrapers, personal computers, works of art, religions, philosophies, cities, life-saving medical technologies, institutions, all of which have benefited our species; or, rather, they have benefited some of us, while also exporting disorder elsewhere in the form of mental or physical trauma, socio-economic imbalance, environmental degradation, sometimes to a degree that threatens to make our efforts untenable and requires us to re-think our approach, our motivations. What are the wisest ways to resist en-tropy? Since a certain amount of disorder is unavoidable, do we allow for it, and even welcome it, to some degree? Is a certain amount of disorder essential for creativity and progress? Another question that en-tropy poses is why things tend to drift towards disorder, a fact of life described in physics as the second law of thermodynamics. What exactly does this law mean? To begin with, it means that many arrangements of the elements of our societies, world and universe are possible, which means that any single arrangement is improbable and therefore, like a sandcastle, a fixed idea, or a particular human civilization, likely to give way to other arrangements over time. This year S.P.A.C.E. invites participants across the arts and the sciences to adopt en-tropy as a framework of interpretation to explore the work we do, how and why we do it, as well as the moments when en-tropy eludes our efforts to tame it and confronts us with the need to re-consider how we deal with this universal phenomenon that shapes our lives.